Please welcome today's paranormal guest author Kiki Hamilton! 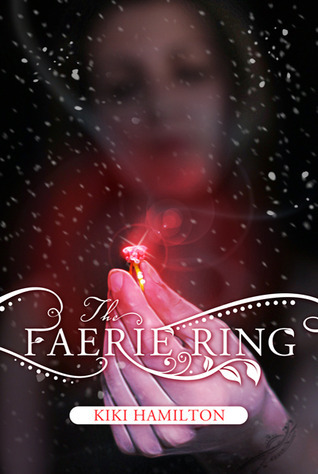 Kiki is the author of The Faerie Ring. Kiki: I started seriously writing about six years ago. Kiki: Harry Potter spurred me to start writing and the first thing I wrote was a story for my daughter. It was natural that it was a fantasy. However, I just finished writing a realistic contemporary story, so I’m not tied to just one genre. EJ: If you could be any paranormal or have any one supernatural talent, what would it be? Kiki: I’d love the ability to do magic. Is that too broad of a choice? Why? Because with magic you have unlimited possibilities. Kiki: Well, I wrote what I wanted to read, so hopefully it is a story that will appeal to others too. The story is set in Victorian London and is about a pickpocket who steals the Queen’s ring only to find that the ring is a reservoir that holds a truce between the English royals and the world of Faerie. And everybody wants the ring back. There is mystery, romance, magic, danger, faeries and London. What’s not to like? EJ: If your book(s) were being made into a movie, who would you cast for the leading roles? Kiki: I don’t know who I would pick and I sort of hate to put an image in someone’s mind, because that might not be the way that character looks to them when they read the book. The perfect example for me was Edward Cullen. I had this perfect image of Edward in my mind while I read the book and I can assure you he did NOT look like RPatz. Why? Thank you Kiki for joining us here today at From the Shadows! To learn more about Kiki Hamilton and her books, please visit her website. Hi EJ - Thanks so much for featuring me on your blog! This sounds like a great book! You said about 6 years ago you started writing. What prompted you? Edward Cullen is like this a sort of mismatch, Kiki. I recently reviewed your book on my blog and let me tell you loved. It also helped before I even dead had on my wishlist as highly anticipated. Thanks for the author interview, E.J. and Kiki. This is an interesting interview. I love Harry Potter, too- so inspiring. I agree with the author- once magic enters the story- anything is possible!